Origin Native to Mediterranean region such as Southern Europe, Northern Africa, larger Mediterranean islands, Levant and Middle-East of Western Asia into Iran and Canary Islands and Macaronesia. Ceratonia siliqua is also known from these names: Carob, Carob tree, St John’s-bread, Locust bean and Locust tree. Carob is a species of flowering evergreen shrub which belongs to Fabaceae family. Carob tree is inherent to Mediterranean region such as Northern Africa, Southern Europe, larger Mediterranean islands, Northern Africa, Levant and Middle-East of Western Asia to Iran and Canary Islands and Macaronesia. It is cultivated for its edible pods and grown as an ornamental tree in gardens. Carob tree has the ability to tolerate heat and drought and is well adapted to Mediterranean climate. Carob tree is cultivated on marginal lands in Mediterranean basin where few other crops are cultivated economically. Carob is inter-planted with grapes, olives and nuts. The tree could reach 15 meters high having trunk of 3 feet in circumference. Branches possess evergreen and oval shaped leaves with clusters of red flowers. It turns into seed pods. Unripe pods are soft, fleshy and bright green and have the similar appearance of pea pod. Ripe pods have sweet taste due to high isobutyric acid content which release reminiscent aroma of Limburger cheese. The dried ripe pods have hard seeds which provide rattle effect. Pods are slightly curved, long, thick and dark brown measuring 4 to 10 inches long. Raw carob tastes subtly sweet having pleasant like a taste of caramel. Fresh pods are the nutritious form of carob. Dried pods of Carob are used for making fresh raw carob powder. Carob was the primitive source of sugar till sugarcane was widely available. Presently, it is used as a substitute for chocolate that contains theobromine, an enzyme which is highly toxic to dogs as well as some people. Fruit is used for both human nutrition as well as animal feed. It is rich in protein, carbohydrates and low level of fat. It also has Calcium, Magnesium, Phosphorus, Iron, Manganese, Potassium, Copper, Barium, Nickel, Copper and Vitamins such as B, A, D, B3 and B2. Carob is free from caffeine, oxalic acid and bromine, tyramine and nylthylamine. Carob has antioxidants in the form of polyphenols. It has a meaningful role on human health. The natural thickening substance obtained from endosperm which is used as confectionery. It is also used in food, cosmetic and pharmaceutical industries. Moreover, Carob is a multipurpose tree which helps to prevent soil erosion. Carob pods and powder have been used for thousands of years by civilizations which is located in Mediterranean region as well as Adriatic Sea. Carob tree have been used since long time dating back to ancient Egyptian times. Carob sees has gum like qualities which is used as a binding adhesive for mummies when buried in tombs. St. John’s bread was named with the famed story of St. John who is a Baptist monk who enjoyed consuming pods of carob fruit. The term bread was due to the texture of fresh ripe pod which is slightly chewy in nature. It has been used as a liqueur, syrup and ingredient in Mediterranean region. Carob syrup is commonly known as black gold in island of Cyprus. Today Carob is used as a beverage and consumed fresh for ceremonial purposes in Islamic customs and used as traditional food in Jewish community for celebration of special holidays. The old style carob press is found in small villages in Lebanon as well as other parts of worlds. Today Spain, Morocco, Italy, Greece and Portugal are the top carob producing countries. Carob has its way all around the world which includes California as well. Evidence has shown the use of Carob products dating back to ancient Greece and Egypt. It was used as a food source. Seeds of Carob are consistent in size and weight. This species is ancient and have survived last ice age and flourished since Mediterranean region. It is adapted to harsh climates as well as poor soils. The species is cultivated widely throughout its natural range due to its reliability as a resource of food and fuel during the times of drought as well. Carob trees are dioecious but some might be hermaphrodite and grows to the height of 15 meters. The crow is semi-spherical and broad which is supported by a thick trunk having brown rough bark and sturdy branches. Leaves are alternate, pinnate measuring 10 to 20 centimeters long. The plant bears blossom in autumn. Flowers are small, numerous, arranged spirally along inflorescence axis in catkin like racemes which are borne on spurs from old wood and even on trunk. The flowers are pollinated by both insects and winds. The plant bears pods as a fruit which is compressed, elongated, straight or curved and is thickened at sutures. Each pod possesses eight seeds. It prefers warm temperate and subtropical areas and tolerates hot as well as humid coastal areas. The tree prefers sandy loams, well-drained and cannot tolerate waterlogging. Carob does not have theobromine or caffeine which is stimulants. Carob helps to promote immune system, improve digestion, lower chances of cancer, prevents cardiovascular diseases, slows down aging and prevents diabetes. The study conducted set up phytochemical content, cytotoxic activities and antioxidant capabilities of methanol extracts of Carob tree. Study show that carob extracts has high content of phenolic compounds which possess antioxidant activities by repairing cell damage caused by free radicals of the body and also counteract the cervical cancer cells. Carob is toxic to cervical cancer cells. The antioxidant activities of polyphenols eliminate harmful free radicals from the body. The study conducted on tannin rich carob pod for treating acute onset diarrhea reported that tannin rich carob pod powder improved condition of diarrhea on infants after two days of treatment. It normalized defecation and body temperature and lowered vomiting. Study shows that carob pod powder has quick reaction against diarrhea in infants. Carob has low sugar, 1/3 of calories and fraction of fat content. It assists in prevention of spikes in blood sugar and considered as a safe dietary choice for diabetic patients. So it is a better substitute for chocolate and also provides fiber and protein which is lack in protein. It is a great choice for people who are trying to lose some weight without affecting tooth health. Carob has fiber which inhibits secretion of postprandial ghrelin which is a hormone that informs body that it is hungry, released occasionally after eating. Carob can lower the chances of overconsumption and supports weight loss activity. Carob has high content of calcium, phosphorus and gallic acid which counteract polio and osteoporosis. It is helpful for those children suffering from polio. Carob is loaded with antioxidant, vitamin E and phytonutrients which are helpful for treating maladie such as cold and flu. Carob has gallic acid which offers anti-allerfic, antiseptic and anti-bacterial properties. It also treats coughs and anemia. It encounters lung cancer in exceptional cases. Decoction made from pulp is used for treating diarrhea, heartburn and provides relief from irritation within gut. Pods of seeds are used to cure coughs. 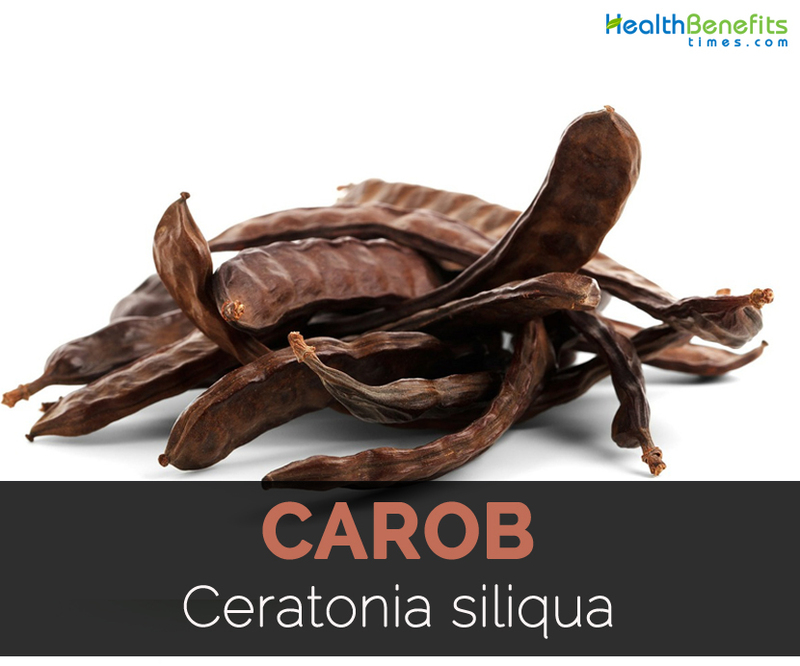 Carob is also used for treating vomiting, cough and obesity. It supports digestion and treat bacterial infections. The powder extracted from Carob is useful for treating prostate infections and prostatitis. Carob is used to eliminate warts and pods are helpful for persistent cough. Face pack of seed pod powder helps to cleanse as well as tone skin. Pods are used for poor eyesight, intestinal worms and eye infections. Carob is used for preventing anemia, osteoporosis and osteoclasis. Do not use in excessive amounts. Pup is made in carob flour which is used for making cakes, bread and chocolate. Ripe and dried are ground to carob powder and used as a substitute for cocoa powder. In Greece and Crete, Carob syrup is used as a natural sweetener. Pulp is used as a substitute for chocolate in cakes and drinks. Roasted seeds are a substitute for coffee. Syrup made from pods are used for making carob chips, baked goods, carob covered fruits and ice cream. It is used in dairy products and beverages. Seed flour is used to produce gluten-free starch bread. Make carob chips from Carob powder. 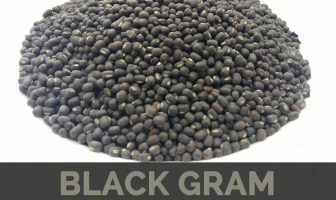 The seed oil is used as thickener for soups, ice creams, cheeses and syrups. Carob pods are used in Iberian Peninsula as animal fodder to feed donkeys. Flour of seed pods are used to make cosmetic face packs. Native Native to Mediterranean region such as Southern Europe, Northern Africa, larger Mediterranean islands, Levant and Middle-East of Western Asia into Iran and Canary Islands and Macaronesia. Calories in 1 cup (103 gm) 229 Kcal. Calories 229 Kcal. Calories from Fat 6.03 Kcal.